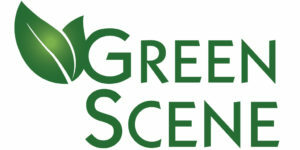 This week we celebrate our beautiful green plant and along with that, the recent re-brand of the IAPD GreenScene logo! The GreenScene program was developed by the International Association of Plastics Distributors (IAPD) to help promote the environmental advantages of performance plastics. At Nylatech, we are proud GreenScene members and are dedicated to lowering our environmental impact on the environment in our business. Performance plastics are durable, multiple-use plastics that present unique opportunities to reduce, reuse, repurpose, and recycle. The GreenScene program expands on this by including environmental initiatives not only in our products, production, and manufacturing, but also in how we run an efficient, green office and administrative services. Sustainability leads to improved profitability. We’re proud of our membership in the IAPD GreenScene program and in taking responsibility to develop business practices in an environmentally friendly manner.